When you're a kid, sometimes the only friend you have is a stuffed animal. It's always with you—when you eat, when you sleep, when you play—and all those years take a toll on a fake teddy bear! 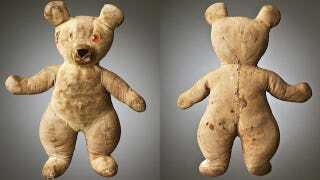 These pictures show the after effects of teddy bears and stuffed animals who were loved too much. It's a little heartbreaking?